This tray is acrylic capped and constructed from a polyurethane resin mixed with filler including volcanic ash - a benefit of this is that the matrix has screw retention so that the feet from the riser kit (sold separately) can be screwed directly into the base of the tray. Hello, the riser is used to raise the tray off the ground. They tend to be used for plumbing requirements. Hope this helps. 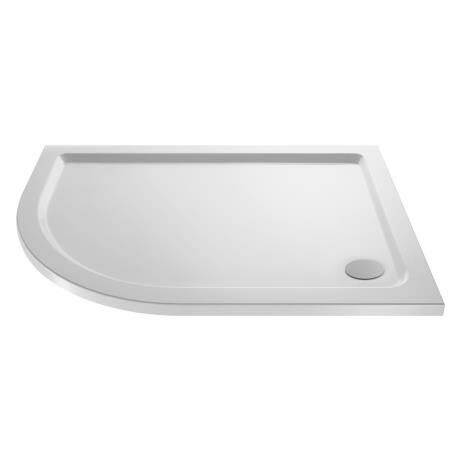 Hi Matt, for this shower tray, we would recommend product code legd. Hope this helps! Hi, thank you for your question. All available dimensions are as follows 900 x 760 x40 900 x 800 x40 1000 x 800 x40 1000 x 900 x40 1200 x 800 x40 1200 x 900 x40. I hope this helps, please let me know if you have any further questions. Just what I order good item and quality.